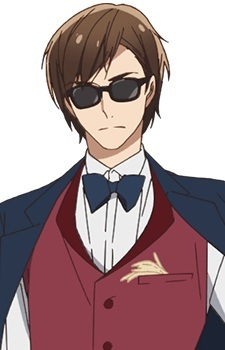 Always seen wearing a black jacket on his back, a red vest with a tentacle from the Kojima food industry sticking out, and black sunglasses that never fall off. An arrogant man who won't let common sense get in his way, he was the one that resurrected the seven "legendary" zombies. He plans to enlist the zombie idols to save the Saga prefecture, the so-called "Zombie Land Saga Project", although no one knows the true details of his plans.